Jiang added that this type of information always come from “a certain group of people, including the military, who are hostile towards China.”… Conclusion: the Indian side must have been victim of a high-altitude mirage. 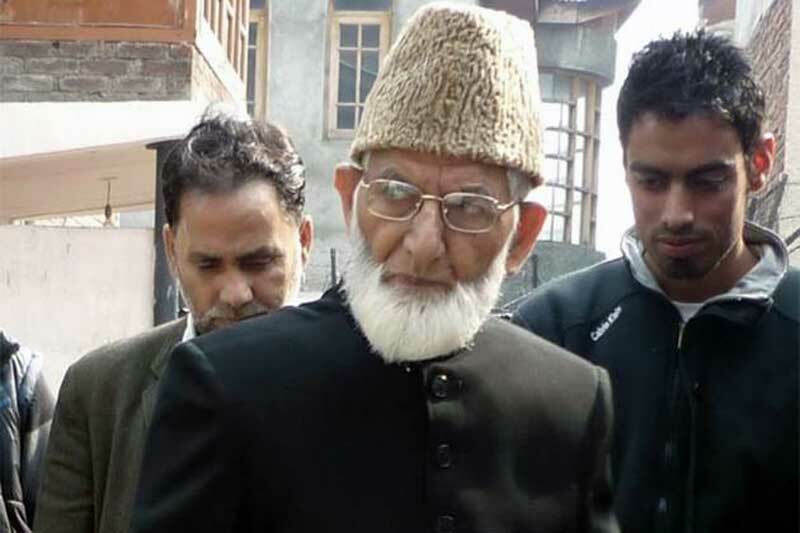 Geelani has appealed to the OIC for resolution of the Islamic problem based on ‘historical perspective.’ History is rather a slippery surface Mr Geelani! … The truth is that Kashmiri Muslims share their DNA with Kashmiri Hindus and not with Arabs or Afghans. The OIC meet coincides with Mr Modi’s visit to New York where he is scheduled to address the UN. It is nauseating to reiterate the anti-national aspect of this move as it has become an endemic feature of the Kashmir discourse—a discourse scripted by Kashmir-centric mainstream parties, the separatists and the jihadi organisations. These are essentially three routes to the same objective. The progenitor of this discourse was none other than Sheikh Abdullah. Since then Kashmiri politicians have honed the art of duplicity and use of forked tongues against their motherland. 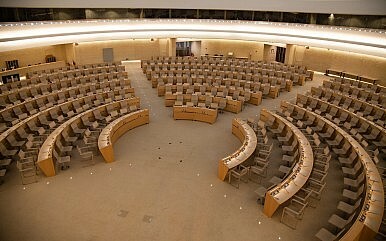 The 30th session of the UN Human Rights Council(HRC) began over a week ago, yet much about the U.S.-led resolution on Sri Lanka remains undecided. The U.S. hopes to pass a consensus resolution that has Colombo’s clear endorsement. Rice may have set up her straw person, but no serious Asia watcher either predicts or desires a clash with China. However, even by the measuring stick of her own aspirations noted above, China today is falling far short of the mark, raising serious questions about the future of its relationship with the United States. BEIJING — An American businesswoman accused of spying has been formally arrested in China shortly before President Xi Jinping’s trip to the United States, her husband and a family lawyer said on Tuesday, adding to the brew of disputes that have dulled expectations for the visit. State security officers secretively detained the businesswoman, Phan Phan-Gillis, also known as Sandy, about six months ago, while she was accompanying a delegation of officials and businessmen from Houston in southern China. But her case had gone unreported until Monday, after her husband learned of her formal arrest and decided to speak out and deny that her work as a consultant could have involved spying. Ms. Phan-Gillis’s husband, Jeff Gillis, said he received the news on Sunday, two days before Mr. Xi was to arrive in Seattle. The timing appeared to be coincidental, but Mr. Gillis said he hoped that Mr. Xi’s visit would open opportunities for the Obama administration to press for her release after months of secretive and fruitless efforts on his own. “It is the most stupid politics in the world to arrest a U.S. citizen the week that Xi Jinping is coming to the United States for a state visit on political charges of spying,” he said by telephone from Houston, where the couple live. A Chinese interceptor jet conducted a second dangerous pass near a U.S. surveillance aircraft over Asian waters—weeks before a state visit to the United States by Chinese leader Xi Jinping that begins Tuesday. The latest incident took place over the East China Sea near Japan’s Senkaku Islands when a Chinese interceptor flew in front of an RC-135 electronic intelligence-gathering jet, nearly colliding with the aircraft. It was the second time a Chinese aircraft nearly collided with a U.S. surveillance jet. 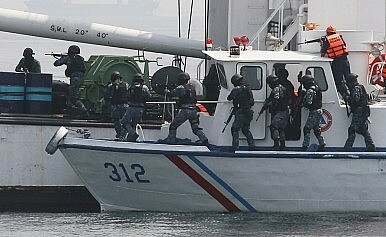 The last incident took place in August 2014 over the nearby South China Sea. Pentagon and U.S. Pacific Command spokesmen declined to provide details of the latest encounter but did not dispute that it took place. “I have nothing for you regarding the incident you mention,” said Cmdr. Bill Urban, a Pentagon spokesman. The latest U.S.-China aerial confrontation was mentioned indirectly by Adm. Harry Harris, commander of the U.S. Pacific Command, during Senate Armed Services Committee testimony last week. This year marks the 70th anniversary of the UN, and appeals for UN Security Council (UNSC) reform are becoming increasingly louder. The G4 nations, namely Brazil, India, Germany and Japan, are the most active in calling for a change. The UN General Assembly on September 14 adopted a negotiating text, setting the stage for talks on the reform. Since it is the first text-based negotiation since the Inter-government Negotiations (IGN) was started in September 2008, its significance is self-explanatory. Some Indian media acclaimed that the nation's bid for permanent UNSC seat has been boosted. However, in reality, it will take a long time to discuss only the wording of this document. Despite the Indian media's warm responses to the move, Japan, rather than India, has played the most active role in seeking a permanent seat within the G4 bloc. The Abe government has beefed up campaigning for the seat since last year, and is preparing to secure it this year. Japanese Prime Minister Shinzo Abe has paid visits to countries in Southeast Asia, Central Asia, Africa and Latin America. Winning support from these countries and regions is the main component of Abe's strategy in fighting for the UNSC permanent membership. Japan's diplomatic effort is particularly focused on Africa. The scenario of world politics is changing. This change has certain degree of impacts on China’s forceful occupation of Tibet. Despite being China’s aggressive and militarised rule of Tibet, it failed to change the mindset of Tibetan communities.China starts its aggression with accusation, through its recently published a White Paper which blamed the ageing Dalai Lama that he is hatching a plan to make Tibet an independent country. China said that had Tibet not been Beijing’s part in 1959 Tibetans would have remained in the “dark age” of medieval practices and slavery. Since the formation of the Tibet Autonomous Region (TAR) in 1965, the region and its people have seen all around development and 281 times increases in GDP. “Tibet is now in its golden age,” a white paper or policy document on Tibet, titled the “Successful Practice of Regional Ethnic Autonomy in Tibet”. This white paper was released to mark the 50th anniversary of the TAR. In the white paper, the government continued to criticise the Dalai Lama’s political stand on the status of Tibet. He has been in exile in Bharat since 1959 when he fled China with his followers. According to Chinese White Paper the 14th Dalai Lama has constantly preached the “middle way,” peddled the concept of a “Greater Tibet,” and lobbied for “a high degree of autonomy” which ultimately aims at independence. Obviously he violates the Constitution of China and its state system, and greatly damage the fundamental interests of all ethnic groups in Tibet, which is why they have met strong opposition from all Chinese people, including those of all ethnic groups in Tibet, and hence why they are doomed to fail,” the white paper accused Dalai Lama. Chinese president Xi Jinping arrives in Washington this week for his first state visit to the United States. There will be plenty on the agenda for his discussions with President Obama, but few important issues where the two leaders will be able to bridge the gap in a significant way. The decision to host Xi for a state visit—involving a 21-gun salute and U.S. service members standing for inspection before the Chinese leader—and the administration’s moves in the lead-up to the summit have revealed, once again, the ineffectiveness of the administration’s approach to China. While some have criticized Scott Walker’s call for the visit to be canceled or other candidates’ suggestions that it be downgraded, no one has adequately explained why it is so crucial to fete Xi Jinping in a manner befitting America’s closest allies. The treatment will signal to Xi that he can continue to operate with impunity both at home (where he’s stepped up repression of activists and religious minorities) and abroad (where he’s bullying his neighbors at will). Xi will also use the state visit’s atmospherics as domestic propaganda to bolster his image and his authority. In return for these Chinese prizes, the United States will get…what exactly? Chinese president Xi Jinping will arrive in Washington on Thursday for his first official visit as president of the People’s Republic of China. On Friday he will be accorded full state honors including a 21-gun salute on the White House lawn and a formal banquet at the White House. This will not be because China is an American ally or because the United States respects and accepts China’s repressive political system, but because China is a world power. Military power is still the sine qua non for stature in the international system and, according to the Stockholm Peace Research Institute, China’s defense spending is now the second-highest in the world after the United States. Based on SIPRI estimates, in 2014 China spent more on defense than Russia, Britain, and France combined. 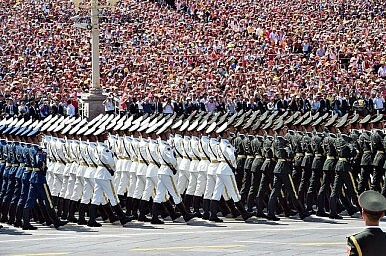 As the massive military parade in Beijing on September 3 demonstrated, China’s military, the People’s Liberation Army, has been modernizing rapidly over the past two decades. What was once a peasant army is now equipped with tanks, airplanes, and missiles that are in many cases comparable to those of the world’s most advanced military powers. As Chinese President Xi Jinping begins his long awaited visit to the U.S., there will be plenty for him to discuss with President Obama–trade issues, cyber-security, conflict in the South China Seas, and so on. One topic that has gotten less attention, but should be top of mind: monetary policy. That’s because what’s happening in China right now has limited the ability of the Federal Reserve Bank to do what’s right for the American economy. 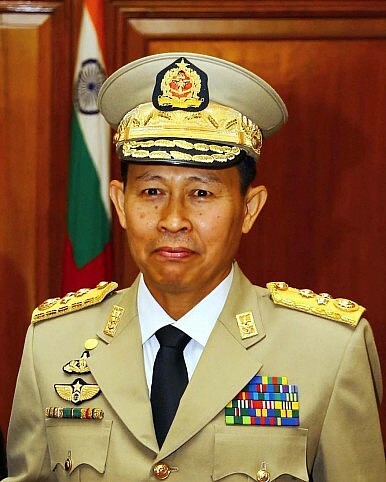 A high-ranking defense official from Myanmar visited Beijing for talks this week. 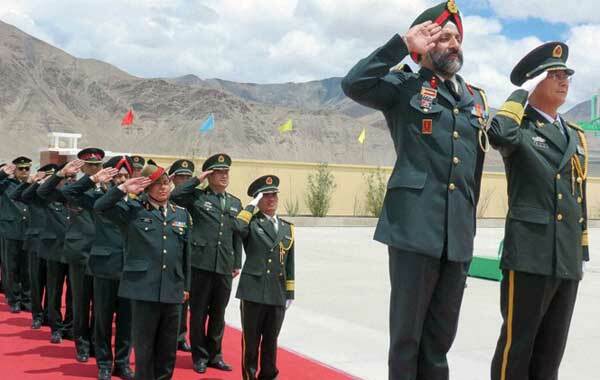 Vice Senior General Soe Win, Myanmar’s deputy commander-in-chief of the Myanmar Armed Forces and army commander-in-chief, and Sun Jianguo, deputy chief of the PLA General Staff, led the second strategic and security consultation between their two countries on Monday. Soe Win also met with Chinese Defense Minister Chang Wanquan. According to Chinese media, the main topic under discussion was border security. Violent clashes between armed ethnic rebel groups and Myanmar’s military caused turmoil near the China-Myanmar border this spring. Tens of thousands of refugees – estimates ranged from 30,000 all the way up to 100,000 – crossed from Myanmar into China to escape the violence. The media is paying close attention to Chinese President Xi Jinping’s trip to the United States, with a particular focus on an array of hot-button issues: the South China Sea, cybersecurity, the U.S.-China bilateral investment treaty negotiations, and the devaluation of China’s currency. Analysts say that a breakthrough on any of those topics could help defuse the tensions that developed in the relationship over the past few months. In that case, developing a “new type major country relationship” would be much more possible. But in my view, an even more difficult period is awaiting Xi and U.S. President Barack Obama after Xi’s visit. That’s due to one factor that’s been largely overlooked in media discussions of Xi’s visit: North Korea. 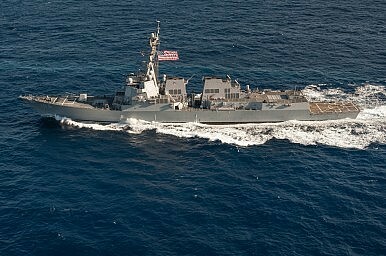 The USS Stockdale underway in the South China Sea. Was Syrian Train-and-Equip Effort Always a ‘Mission Impossible’? WASHINGTON — A year after US President Barack Obama asked Congress for the authority to train and equip moderate Syrian opposition forces to fight the Islamic State group, a senior general has acknowledged the $500 million program is in tatters. The administration’s stated campaign to destroy the Islamic State group, known as ISIL or ISIS, has hinged on the Pentagon’s repeated assertions that local forces must push back the insurgent fighters to ensure long-term security in the region. 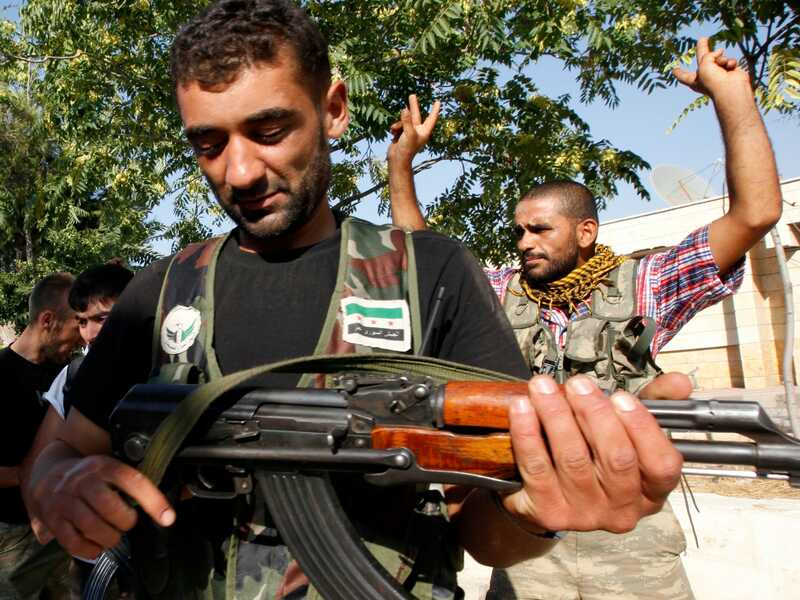 The plan was to train 5,400 local Syrian rebels by the end of the year. Gen. Lloyd Austin, chief of US Central Command, disclosed that there are no more than five US-trained Syrian fighters left, and acknowledged the program may be overhauled. Austin also confirmed the Pentagon inspector general is investigating his intelligence director amid whistleblower claims that intelligence assessments were altered to show a more positive picture of US progress. The damaging revelations about the program — which has been straining to recruit nationalist rebels to fight against the Islamic State exclusively, and not the regime of Syrian President Bashar al-Assad — renewed questions about whether it was realistically conceived or should continue. A Scary Thought: An Air Force for ISIS? In a not too distant future, war has broken out between NATO and Russia. Battles are being fought all over Europe and Russian forces are moving to capture Paris. With sizable ground forces and air dominance, U.S. helicopters and tilt-rotors are supporting the troops overhead, forcing Russian troops to retreat. However, previously hidden among high-rise buildings, Russian attack drones break onto the scene, destroying much of the American attacking force. Thankfully, this scenario is fictional, like one depicted in a scene advertising Tom Clancy’s game, EndWar. While Russian military strength is greatly exaggerated in the game, it does bring up a very interesting point of future threats America may face. The use of an unmanned air force against U.S. aircraft might not be science fiction for much longer, due to the increasing pace of the drone arms race. Ultimately, this could lead to state and, more troubling, non-state actors with the ability to use drones with devastating effect, even against U.S. airpower. LONDON — A small but growing number of defectors from the Islamic State are risking reprisals and imprisonment to speak out about their disillusionment with the extremist group, according to a research organization that tracks former and current militants. The Islamic State considers defectors as apostates, and most of the hundreds thought to have left the group have gone into hiding. The researchers urged governments to give defectors more incentives to speak out so that their narratives could be used to dissuade potential recruits. The 58 defectors, seven of them women, spoke on separate occasions to various news organizations, including The New York Times, and the report compiles their testimony while providing context and analysis. The chief of staff of the US-trained Syrian rebel group Division 30resigned from his position on social media on Saturday, days after a top military general told Congress that the US had successfully trained just "four or five" opposition soldiers. Senior intelligence officials at the U.S. military’s Central Command demanded significant alterations to analysts’ reports that questioned whether airstrikes against the so-called Islamic State widely known as ISIS were damaging the group’s finances and its ability to launch attacks. But reports that showed the group being weakened by the U.S.-led air campaign received comparatively little scrutiny, The Daily Beast has learned. Senior CENTCOM intelligence officials who reviewed the critical reports sent them back to the analysts and ordered them to write new versions that included more footnotes and details to support their assessments, according to two officials familiar with a complaint levied by more than 50 analysts about intelligence manipulation by CENTCOM higher-ups. The day after a lone Islamist gunman murdered 30 Britons in the Tunisian beach resort of Sousse, Alex Younger, the new chief of the UK’s Secret Intelligence Service, wrote to his staff setting out the challenges they faced. Ten years of relative success in keeping Britain free of terrorist attack was a remarkable record, he said, but the rise of the Islamic State of Iraq and the Levant, known as Isis, had brought new threats. 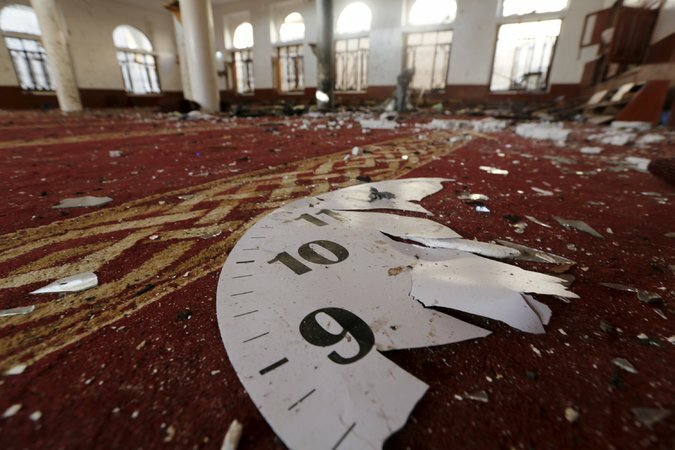 Sousse — the worst terrorist attack against UK citizens since the London bombings of 2005 — was a terrible reminder of that. SIS, better known as MI6, is not alone in its concerns: officials in Whitehall say all three of Britain’s intelligence agencies face significant hurdles in dealing with a growing and evolving terrorism threat and advances in technology. Britain’s spies are keeping up with terrorists, they say — but only just. As the government considers its options for its five-year strategic defence and security review this autumn, the work of MI5, MI6 and GCHQ will be at the forefront. In a speech in July, David Cameron, prime minister, spelt out his view of the UK’s security challenge. Intelligence, he said, was at its centre. With the offensive to reclaim territory from the Islamic State largely stalled in Iraq, the Obama administration is laying plans for a more aggressive military campaign in Syria, where U.S.-backed Kurdish forces have made surprising gains in recent months. The effort, which would begin by increasing pressure on the Islamic State stronghold of Raqqa, marks an important shift in an administration strategy that for most of the past year has prioritized defeating the militant group in Iraq and viewed Syria as a place where there were few real prospects for battlefield success. The White House’s top national security officials met last week and will convene again in the next few days to discuss ways to capi­tal­ize on recent and unexpected gains made by Syrian irregular forces. The administration is considering providing arms and ammunition to a wider array of rebel groups in Syria and relaxing vetting standards, effectively deepening America’s involvement in the ongoing civil war. Such a move could lift some of the restrictions that have slowed the Pentagon’stroubled program to train Syrian fighters in Turkey and other sites outside Syria. WASHINGTON — Russia has sharply increased the number of combat aircraft at an air base near Latakia, Syria, giving its forces a new ability to strike targets on the ground in the war-stricken country. Over the weekend, Russia deployed a dozen Su-24 Fencer and a dozen Su-25 Frogfoot ground-attack planes, bringing to 28 the number of warplanes at the base, a senior United States official said on Monday. Until the weekend, the only combat planes there had been four Flanker air-to-air fighters. The deployment of some of Russia’s most advanced ground attack planes and fighter jets as well as multiple air defense systems at the base near the ancestral home of President Bashar al-Assad appears to leave little doubt about Moscow’s goal to establish a military outpost in the Middle East. The planes are protected by at least two or possibly three SA-22 surface-to-air, antiaircraft systems, and unarmed Predator-like surveillance drones are being used to fly reconnaissance missions. “With competent pilots and with an effective command and control process, the addition of these aircraft could prove very effective depending on the desired objectives for their use,” said David A. Deptula, a retired three-star Air Force general who planned the American air campaigns in 2001 in Afghanistan and in the 1991 Persian Gulf war. On September 23, U.S. president Barack Obama will host Pope Francis in Washington, D.C. The two leaders, one described as a towering figure of American progressivism and the other as a liberal revolutionary, are often seen as allies. Strangely, the two men hold starkly differing views on the state of the world. Whereas Obama sees the world as generally improving, Francis’ statements often verge on the apocalyptic. Who is right? How are we to reconcile these two perspectives? To get a sense of the real state of the world, let us look at four issues of great importance to both men: wealth, health, poverty and inequality. Russia has deployed at least four advanced Sukhoi Su-30SM Flankers to its base near Latakia, Syria. The jets are the latest in a series of Russian deployments to the war-torn Arab nation that includes tanks, armored personnel carriers, heavy artillery and a sizable infantry contingent. While Russian forces in the region are probably there to support Bashar al-Assad’s beleaguered regime against ISIS, without careful coordination with U.S. and allied forces operating in the region, there is a real danger of an inadvertent confrontation. That is why U.S. Defense Secretary Ash Carter made sure to call his Russian counterpart Sergei Shoygu to make certain that U.S. and Russian forces don’t accidentally find themselves in conflict. “The secretary and the minister talked about areas where the United States and Russia's perspectives overlap and areas of divergence,” states a Pentagon release. The timing of the call was slightly awkward because the Flankers showed up in Syria just hours after the conversation. This summer, the United States announced a historic agreement with Iran. The agreement largely dismantles Iran's nuclear program, which experts agree was designed to build an arsenal of nuclear bombs. Optimists have looked at the deal and speculated North Korea could be next. In exchange for the lifting of sanctions and normalizing relations, North Korea would dismantle its own nuclear arsenal, they say. The incentives for such a poor country — with an economy a third the size of Ethiopia's — would be too great to resist. The optimists are wrong. A nuclear North Korea is something the world is going to have to get used to. North Korea has been confronting the United States for decades, and has gotten away with it because of its outsized military. 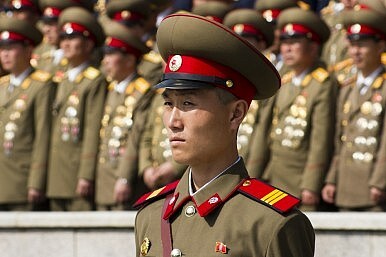 Over the years, the Korean People's Army has consistently made up about 4 percent of the population — or 20 percent if you count reservists. Any war with North Korea would be a costly one for the United States and allies. In 1991 Kim Jong Il, the father of the current leader Kim Jong Un, watched as the U.S. military crushed the Iraqi military with ease — a military that was armed and equipped just like his own. The writing was on the wall — numerical strength was increasingly irrelevant in warfare. Faced with China's growing anti-surface ship capacity, the United States should decrease its emphasis on large aircraft carriers in the Pacific and spend more on submarines, space capabilities and ways to make air bases and aircraft less vulnerable, according to a report released earlier this month by Rand Corp. In the 430-page report, the Santa Monica, Calif.-based think tank analyzed the relative military capabilities of the U.S. and China in certain scenarios based on open-source documents. The analysis makes comparisons using 10 "scorecards" covering air, maritime, space, cyber and nuclear domains. Capabilities were examined at seven-year intervals, beginning in 1996 and projecting to 2017, considering two "plausible" scenarios of conflict between the two countries: a Chinese invasion of Taiwan and its forcible occupation of the Spratly Islands. China claims sovereignty over both. “The vastness (of the ocean) and the resultant challenges make it mandatory for each nation to work in close collaboration to ensure security in the maritime domain. Therefore, we need to work on broadly shared objectives.” So said Rear Admiral DMB Waththewa of the Sri Lankan Navy, speaking to representatives from 34 countries several weeks ago, at the fifth annual Defense Seminar hosted in Colombo. Throughout his presentation – in which he shared his thoughts on how traditional and emerging maritime threats ought to be confronted – Waththewa emphasized the need for naval cooperation between states in the region. Analysts would do well to keep his words in mind when they study the Asia-Pacific, which is overwhelmingly reliant on stable seas for its economic prosperity and security. But in an address to the United States-Indonesia Society (USINDO) Monday night ahead of Jokowi’s visit to Washington next month, Indonesian foreign minister Retno Marsudi dismissed these worries of a “narrow nationalism” and a “U-turn” in Indonesian foreign policy. It is with tentative optimism that European bystanders watch the birth of the Association of South East Asian Nation’s (ASEAN) newest endeavor: an EU-style common market, slated to begin operations by December 31, 2015. Like Europe’s own internal market, ASEAN’s will rely on the four fundamental ‘freedoms’: the free movement of goods, services, labor, and capital. If successful, the project will boost ASEAN’s already hefty global clout, thanks to its combined GDP of $2.4 trillion. But when you get to the nitty-gritty details of the upcoming ASEAN common market, all comparisons to the EU stop. If the European Union was born out of the devastation of World War II and the trauma of the Holocaust, which acted as the collective glue to push forward supranational integration, ASEAN has no such drivers. Its members have trumpeted their opposition to following the EU’s institutional blueprint. Instead, the sovereignty of ASEAN’s member nations will remain a priority and their individuality paramount. Facebook acted like the US’s National Security Agency, spying without authority on European users, lawyers representing the Belgian data protection authority said on Monday. In opening arguments in a closely watched case being brought against the social network company, Frederic Debussere, representing the Belgian privacy commission (BPC), referred to NSA whistleblower Edward Snowden’s revelationsabout surreptitious mass surveillance by the spy agency. “When it became known that the NSA was spying on people all around the world, everybody was upset. This actor [Facebook] is doing the very same thing, albeit in a different way,” he said. The BPC brought a lawsuit against Facebook after accusing it of “trampling” over Belgian and European privacy law. In a report and an opinion the BPC detailed Facebook’s alleged breaches, including the tracking of non-users and logged-out Facebook users for advertising purposes.